Hey everyone! 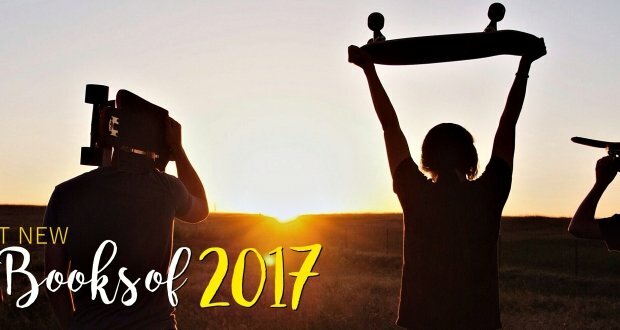 Here’s another list of some of the best contemporary YA books out there – this time ones that are from the year 2014! 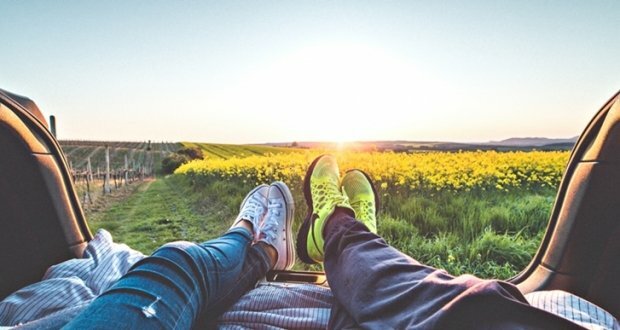 From love stories to heartfelt tales about siblings, this list covers a variety of contemporary YA that we can resonate with and deeply understand. Lara Jean Song’s love letters are all in the hatbox that was given to her by her mother. These weren’t love letters that came from others and given to her, but they are, instead, love letters she’s written – for each of the five boys she’s ever loved. The letters are a secret, containing things that she would never say in real life. 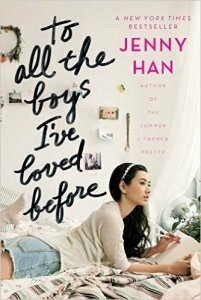 But one day, her letters are mailed – and suddenly Lara Jean’s love life spirals out of control. The Sinclair family has always spent their summers gathered on their private island. 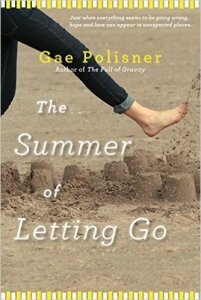 But what sounds like a yearly tradition isn’t that simple – as something happens to Cadence in the summer of her fifteenth year. It’s something that never leaves Cadence, something that reemerges when the four “Liars,” which includes her, Johnny, Gat, and Mirren, prompt her to remember the incident. Noah and her twin brother Jude were once inseparable, with each of their particular roles and quirks. Noah is always drawing and falling in love with the boy next door. Jude wears lipstick, cliff-dives, and is the one who talks for the both of them. But something changes this, and years later, they are barely speaking. Jude meets an irresistible boy later on, though – a mysterious new mentor. And she has half of the story, while Noah has his. Now the twins can remake their world, but only if they find their way back to each other. 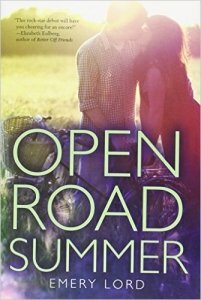 Reagan O’Neill is ready to start fresh, after finally leaving her bad-news boyfriend, and because her best friend, country superstar Lilah Montgomery, is going through a break-up of her own. So when Lilah’s 24-city tour is finally happening, the girls take it as an opportunity to hang out, a summer of break-up ballads and hearts that heal. But charming Matt Finch joins the tour as Lilah’s opening act, and now Reagan’s finding him hard to resist. Sam’s popularity, wealth, and love life were things she used to have – until she and her best friend Cassie disappeared. Now Sam is back but she doesn’t remember who she is or what happened on the night they left, and Cassie’s still missing. 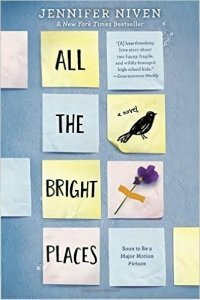 Sam tries her best to piece together parts of the life she had before, realizing that it’s not a life she actually wants to get back to – because the old Sam was a complete mean girl, and that she and Cassie might have been best enemies instead of best friends. It’s the opportunity that Sam needs to be a better person, to fall for Carson Ortiz, whom she always treated like trash. But most of all, Sam wants to know the truth – what happened during that night, and if she can finally unlock the memories she’s forgotten, so that she can finally move on. But then maybe not remembering is the only thing keeping her alive. Jackie’s the perfect girl, who always gets the perfect grades, and who’s always the perfect daughter in her parents’ eyes. But then she moves to Colorado, after her parents’ death in a freak car accident, and has to live with the Walters and their twelve sons. 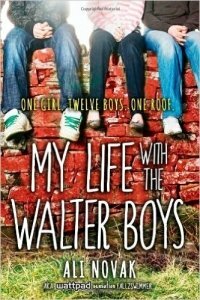 Leaving her New York apartment behind, her perfect life is turned chaotic, as she meets the wild Walter boys – dirty, loud, annoying, and uncaring of personal space. They’re gorgeous, sure, but annoying. Now Jackie has to learn how to fit in and move on if she keeps her memories of her parents alive by trying to live up to her perfect reputation. 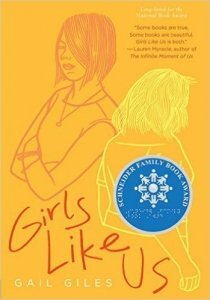 Josie is sixteen years old and can understand several languages – High School, College, Friends, Boyfriends, Break-ups, and Beautiful girls. 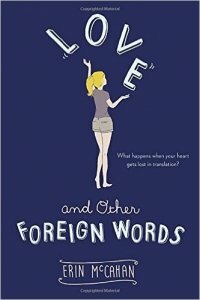 But none of these is her native language – only her best friend Stu and her sister Kate can speak it. So when Kate gets engaged to an insufferable guy, she’s desperate to get Josie to help with the wedding. Josie just wants to break Kate and her fiance up. 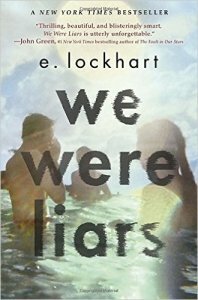 It becomes a battle of words and waged over secrets, and a way for Josie to try and understand the languages that she cannot understand. Sophie Winters has had two brushes with dead. Once, when she was fourteen, in a car accident that made her dependent on Oxy. The second time when she was seventeen, when a masked man confronted her and her best friend Mina in the woods. Sophie survives, but Mina doesn’t, and now the cops think what happened was a drug deal gone wrong, with part of the blame pinned on Sophie herself. 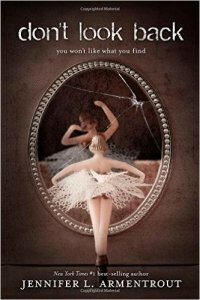 No one wants to believe her – that she’s been clean and it was Mina who led her into a woods – but she’s forced into rehab and comes out experiencing a new reality. Her family won’t talk to her and her old friends hate her, and now Sophie is alone to look for Mina’s murderer. Her investigations lead her closer to discovering truths – about herself, about Mina, and about the secret they shared. Zoe has Olivia – the one friend she considers family. But both arrive at a bump on the road, as Olivia is diagnosed with leukemia and Zoe needs to put on a brave face for her best friend. 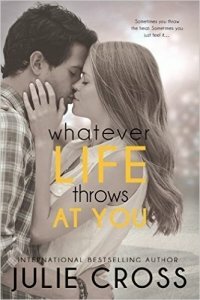 Even when the times when she’s not sure what to say pile up, when Olivia misses months of school, when Zoe falls for Olivia’s crush, Calvin. Zoe believes that Olivia will beat this, the only thing that keeps her going and that things will go back to the way they were. Because she doesn’t want to think of the alternative – a prospect too terrifying for her. Brighton is a popular girl, always ready to help anyone in need, but she herself doesn’t know what she wants. Then she meets Jonah, the only one who doesn’t give her the time of day – but strangely, she feels something for him. So when they’re brought together over and over in a single night, things happen. 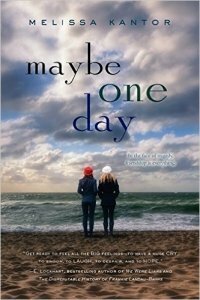 Annie Lucas’s life changes when her dad returns to be the new pitching coach for the Kansas City Royals. Now she’s in Missouri, where it’s too cold and where she has to be in an all-girls school, and where she’s thrown into the world of professional sports. But the Royals’ super-hot rookie pitcher, Jason Brody, has caught her eye, and now she dreams of being with him. Except he’s off-limits, and if he gets involved with her, her dad will kill them both over and over. Anyway, he has a fan club composed of C-cupped models, which kind of makes Annie’s chances very slim. The last thing she needs is to fall in love with Jason. 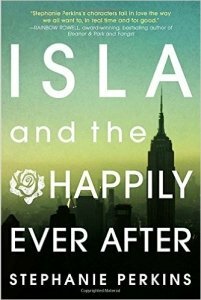 Isla and Josh begin their senior year in France, and quickly realize that happily-ever-afters aren’t forever. 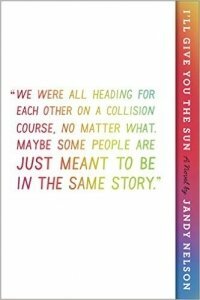 In their romantic journey, they meet couples Anna and Etienne and Lola and Cricket, whose collision with their paths reveal new truths about love and life. Emi Price is a talented young set designer – and she’s just finished high school. She’s already starting to make a name for herself in the L.A. film scene. She’s failed in one key area, though: to get her a love life that’s real. But then she finds a mysterious letter at an estate sale, which sets her on the path to chase down the loose ends of a movie icon’s hidden life. And when she meets Ava along the way, Emi finds that her own hidden life finally begins to bloom. Heart LaCoeur doesn’t want to be involved in any messy high school romance, which is why she’s decided to go with a group of single friends for prom. But two surprise prom invites come, and completely derails Heart’s plan. 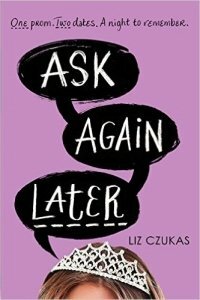 The only solution Heart can think of that may help her avoid drama is flipping a coin – but it somehow gives her a chance to experience both prom nights. And where the coin ends up – heads or tails – might be the most surprising thing of all. Lainey Mitchell, soccer star, is absolutely ready to spend the summer with her amazing boyfriend, Jason. But the unexpected happens – he breaks up with her, without any reason or warning, and in public. Of course Lainey is crushed, but with the help of her friend Bianca, she’s determined to do everything she needs to do, just to get Jason back. And that’s when the girls find a copy of the Art of War, a book which they believe they can use to lure Jason back into Lainey’s open arms. So they start recruiting spies and gathering intel, and convincing Lainey’s coworker Micah to pose as her boyfriend so that Jason would get jealous. The plan seems to be working, but another complication arises – Lainey’s pretend relationship with Micah is starting to grow into something more. 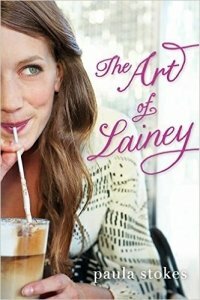 Now it’s up to Lainey to really figure out what she needs. Charlie’s a tomboy with three older brothers, and she’s always been more comfortable on the basketball court than with flirting. 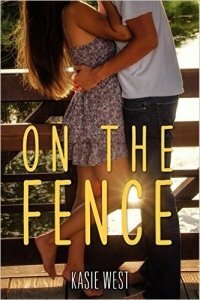 When her police officer dad tells her to get a summer job so that she can pay her stack of speeding tickets, she finds herself working at an unlikely place – a chichi boutique with a boy who has never seen her play ball. And slowly, this boy, Braden, becomes an honorary fourth brother, someone that Charlie talks to late into the night. Charlie’s finding that she’s falling for him, but she’s determined to keep this bit a secret – because spilling it might mean she has to lose him for good. Quincy and Buddy are graduates of the special ed program in their high school, but the two girls are practically opposites of each other. Suspicious, aggressive Quincy fearlessly faces the world, fists up. Biddy is frightened, and can’t even step out of her front door. The unlikely happens, and the end up as roommates in their first “real world” apparentment, where their differences can’t be more defined. But as Quincy and Biddy learn more about each other – as Biddy’s troubled past surfaces, and as Quincy realizes that this shouldn’t be an experience that Biddy has to go through alone. As the two learn more about each other, they realize that ultimately they might be the ones to help each other move forward. Seventeen-year-old Trevor McNulty always tries so hard, but he’s never given any break in his life. His uncle is alcoholic. 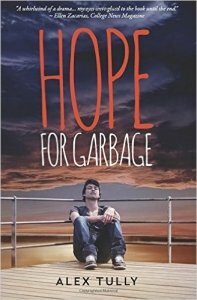 He picks garbage and hangs out with his seventy year-old neighbor. 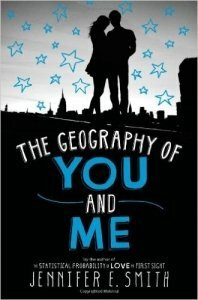 This changes when he meets Bea, a rich girl who lives in a wealthy suburb, and who has problems of her own. She’s smart, she’s cute, and she gives Trevor hope. But their budding romance is hindered by Bea’s own mother, who causes so much destruction that it sends Trevor’s already messy life into a whirlwind. He’s desperate to save his relationship, but at the same time he needs to learn how to solve himself. 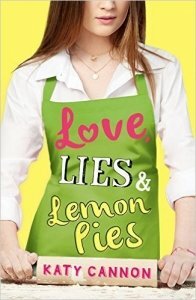 Sixteen-year-old Lottie is determined to keep her biggest secret, and she’ll have to do a lot of baking and a lot of lying to protect it. The Bake Club was Lottie’s way to cope with her father’s death – and while she initially was initially reluctant to join, she eventually rekindled her real love for it. And it helps that she’s caught up with the school’s rebel and fellow Bake Club member, Mac. But the year-end Bake Off is coming close, and the tension among the Bake Club members rise. Under all this pressure, Lottie has to work hard to keep the facade of her perfect life. Francesca Schnell is going nowhere. It’s the summer and she should be headed to the beach, but even after four years since her brother Simon’s drowning, guilt still haunts her, because she believes it’s her fault – she should have been watching him. Now she’s sixteen and everything’s leaving her behind. 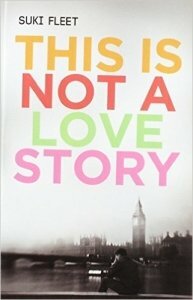 Her best friend is with a boy she’s secretly in love with, while her father is having an affair. Francesca’s life changes, however, when she begins babysitting Frankie Sky – a kid who reminds her so much of Simon that Frankie may as well be Simon’s reincarnation. Through the friendship that they forge, Francesca begins to believe that she may be able to forgive herself, move up, and fall in love – whether or not she gets to solve the mystery of Frankie Sky. 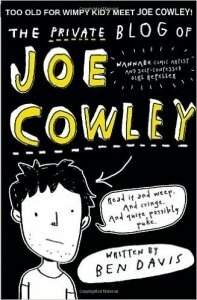 Joe Cowley, 14 years old, an aspiring comic artist and a self-confessed repeller of girls, has decided to start a blog. A private one, which he can use to help himself sort out his life, and keep record of what happens to him. Like how he gained the nickname Puke Skywalker, for instance. Or how he’s subjected to daily wedgies by Gav James, his arch enemy. 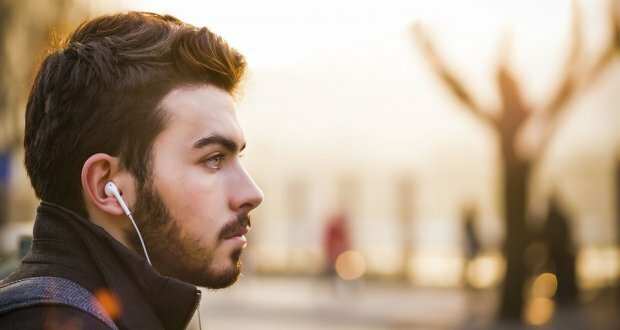 He’s resolved to do something about his current situations, hoping that by the end of the next term, he’ll finally be a completely different person. 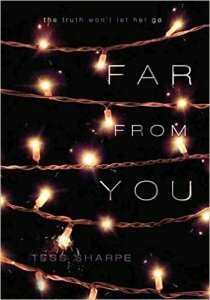 Theodore Finch has a morbid fascination with death, imagining how he might kill himself every single day. But as he thinks of his own death, he also desperately searches for something that keeps him alive. 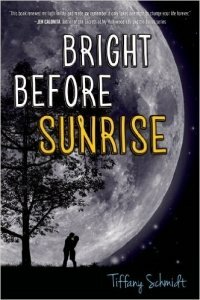 Violet Markey, meanwhile, lives for the future – a future that will take her away from her small Indiana town, and from the grief brought down on her by her sister’s recent death. When the two meet on the ledge of their school’s bell tower, it becomes unclear who saves whom. But their meeting changes both their lives, as Finch can be himself only around Violet, and it’s only Finch who can make Violet forget to count the days and start living them. Violet’s world grows, but at the same time, Finch’s world starts shrinking. 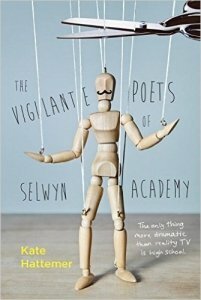 Ethan and his three best friends study at Selwyn Arts Academy – which, unfortunately, has been hijacked by the reality-television show For Art’s Sake. The four secretly pen a long poem in the tradition of Ezra Pound, in an attempt to protest the show and start a rebellion. But those who control the show are smarter than they seem, and as Ethan and his friends realize how deep the betrayal runs, it’s up to them and a heroic gerbil called Baconnaise to save the academy. Lucy, who lives on the twenty-fourth floor, and Owen, who lives in the basement, meet in the middle – stuck between two floors of an apartment building, their elevator stopped because of a blackout all over New York City. By the time they’re rescued, they’ve spent enough time with each other to want to spend the rest of the night wandering around the streets of Manhattan, the stars above them. But when the power is restored, so do the two return to their lives – Lucy, to move abroad with her parents, Owen to the west with his father. The two may be separated physically, but they keep sending postcards to each other, e-mails, and phone calls, to stay in touch. As time goes on, the odds seem to be against the two, who wish to find a way to reunite. Fifteen-year-old Romeo’s mother leaves one day, never to return, and that’s when he finds that he’s homeless and desperately trying to survive on the streets. He’s mute, terrified, and vulnerable, and his silence becomes a signal for other kids to beat him up. He escapes one of these beatings thanks to a boy who rescues him and pledges to take care of him. Now this boy, Julian, is about two years older than Romeo and a runaway from an abusive home, and taking care of Romeo becomes his new purpose in life, his hope. But something inside him is destroying him, and he begins to doubt his own strength. The two must stay with each other to protect each other, to help each other find their strengths, and to not let their love story turn into a Shakespearean tragedy. Tori Spring’s interests are simple. She loves sleeping and she likes blogging, and she’s had friends before she had to face university exams and applications. Things were different before, but today, Tori’s life is not like the life she’s had. 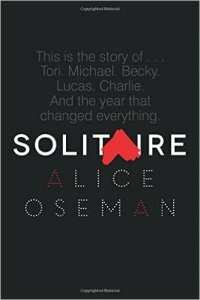 But then she meets Solitaire, and Michael holden, and she doesn’t really know what Solitaire is trying to do. And that she really doesn’t care about Michael Holden. That’s it for this list! 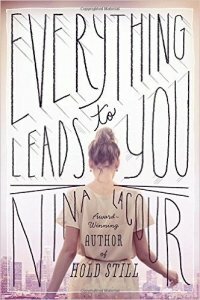 Can you suggest other great contemporary YA books published in the year 2014? Let us know!